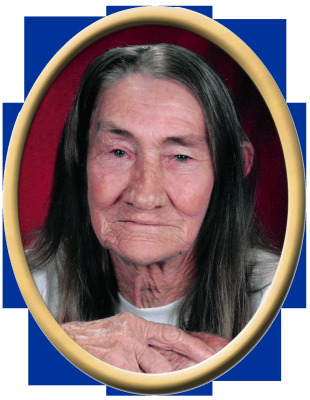 Mary Elizabeth Purvis, 88, of Owens Cross Roads, passed away Monday. She was preceded in death by father, Samuel Holder and mother, Nancy Lee Holder. Surviving are daughter, Janette Dunn, daughter, Peggy Purvis, daughter, Billy Joe McCartney, son, Junior Lee Purvis, son, Jimmy Michael Purvis, daughter, Shirley Gail Woods, grandchildren, Terri Waters, James Waters, Thomas Woods, Robert W. Hyatt, Brandy Hyatt, Michael W. Harvey, Wayne Harvey, Christine Harvey, Kayla Purvis, Tyler Purvis, Austin Purvis, Camran Purvis, Brett Purvis, Nicole Woods, Kenneth Woods and Christopher Purvis and several great grandchildren. "Email Address" would like to share the life celebration of Mary Elizabeth Purvis. Click on the "link" to go to share a favorite memory or leave a condolence message for the family.